We have had so many tents over the years! From our first pop up one when Lottie was just a few months old and we put it up on Clapham Common. 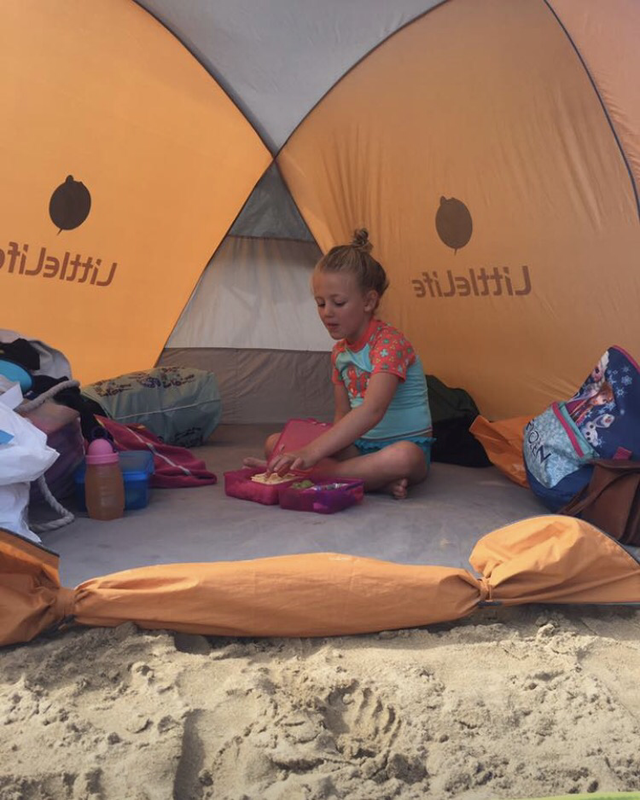 If you are going to get any beach tent you MUST practice putting it up at home in private and even more importantly taking it down again. Taking a pop up tent down when you have a screaming baby and you are trying to be fast but have no idea which way you need to twist it to get it back in it’s original packaging is some form of torture. Plus everyone around you WILL be laughing at you. We have had lighter tents that have blown off down the beach. Half shelters that have no protection at all but then after traveling through reviews I found our little beach tent that we are using for a third year. 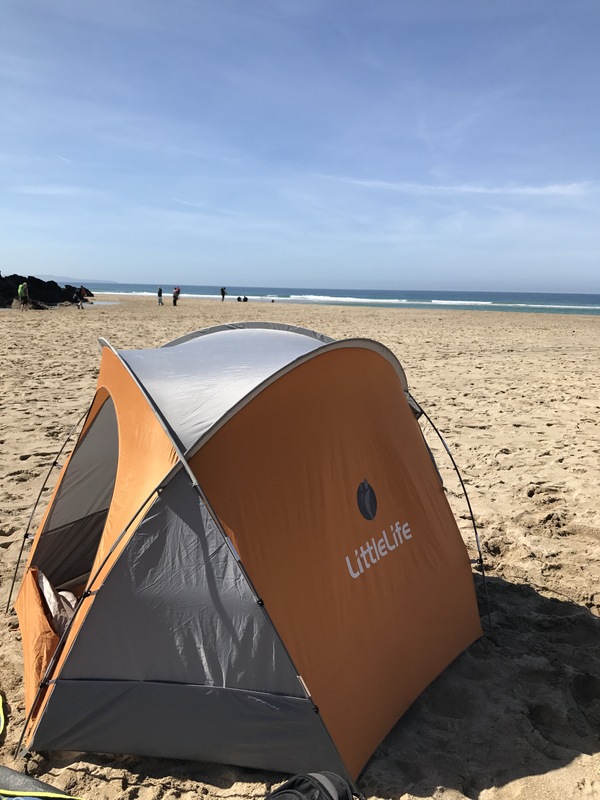 Littlelife do two beach tents, one is called compact and the other is a family beach shelter. The compact one doesn’t zip up so I wouldn’t recommend. The family one we have zips up and can withstand a few hours of rain if necessary. It means we can stay out on the beach all day and all 5 of us can get in it for a passing shower. 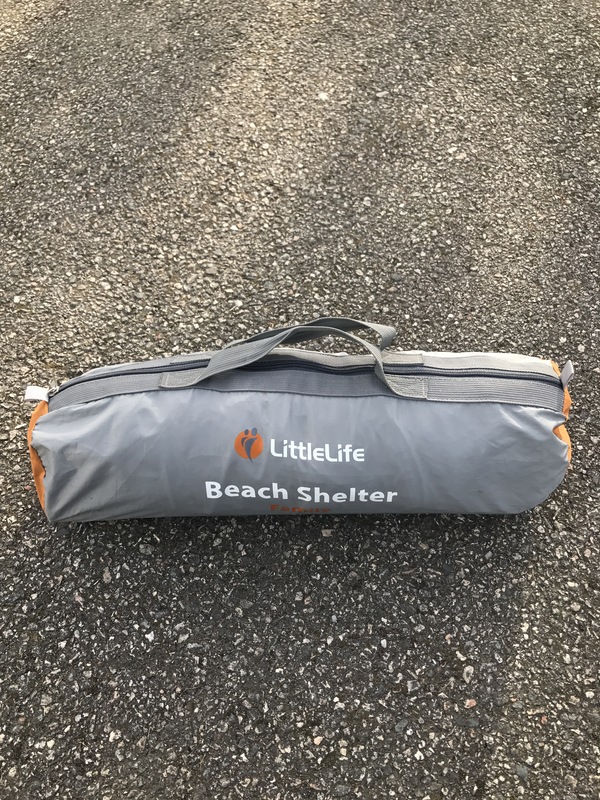 It’s big enough for adults to get changed in it and we always get in it to eat if we are at Porthminster or Carbis Bay as we don’t trust the seagulls not to swoop down for our food. It has 3 poles to push through so it’s not a pop up but it takes one person about 10 mins to put up and about 5 mins for two people. You don’t need to have an exact folding pattern to get it back in the bag at the end so you can disassemble fairly quickly. The bag it is carried in is small and light so it’s not a hassle to get it to the beach. I got it from Tesco so I could use my club card points and get it for free but it’s available from lots of online shops. It’s a must for a holiday in the U.K.